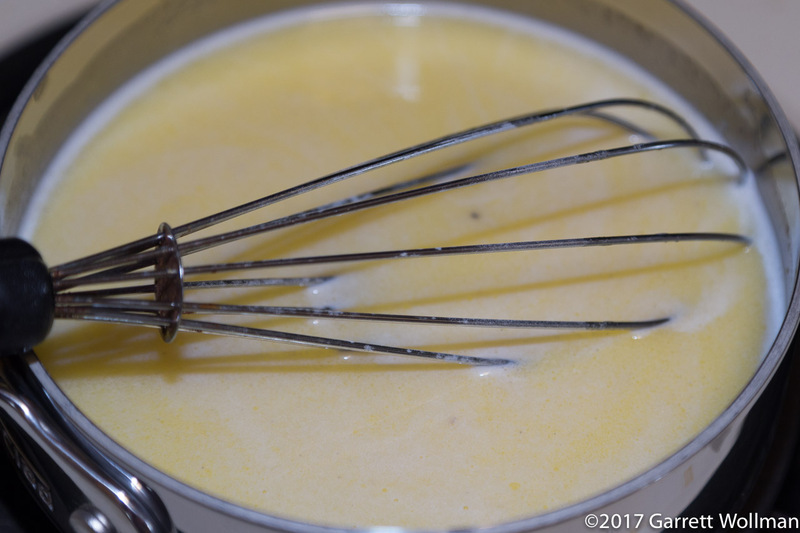 Those of you who follow this blog for the recipe walkthroughs are in luck, because I’m finally getting some more new recipes done. This first one was done back in April, after I got home from my trip to Finland, and so of course it’s Finnish — although Swedes have the same thing. I totally screwed up the assembly procedure, which is a consequence of trying to glue two recipes together (I’ll explain that below), which is why I haven’t directly credited this project to a specific baker. First, a word about the name. A korvapuusti is a cinnamon roll made with a cardamom-flavored yeast-raised sweet bread dough called pulla. In Swedish they are called kanelbullar (singular: kanelbulle). I vacillated a few times over what to put in the title of this article, since I’m using the Finnish name; korvapuustit would be the nominative plural, but intuition makes me want to write korvapuustia, partitive singular, instead — that’s the form that is usually translated with an indefinite article in English, and it’s also the form used with numbers — but being unable to decide between the two, I left it in nominative singular. If some Finnish experts would care to weigh in in the comments, I’d appreciate it. Since the key flavor ingredient in pulla is cardamom, I figured it would be wise to grind my own. The recipe calls for a whole tablespoon of cardamom, so this is about a tablespoon and a half of whole cardamom pods. 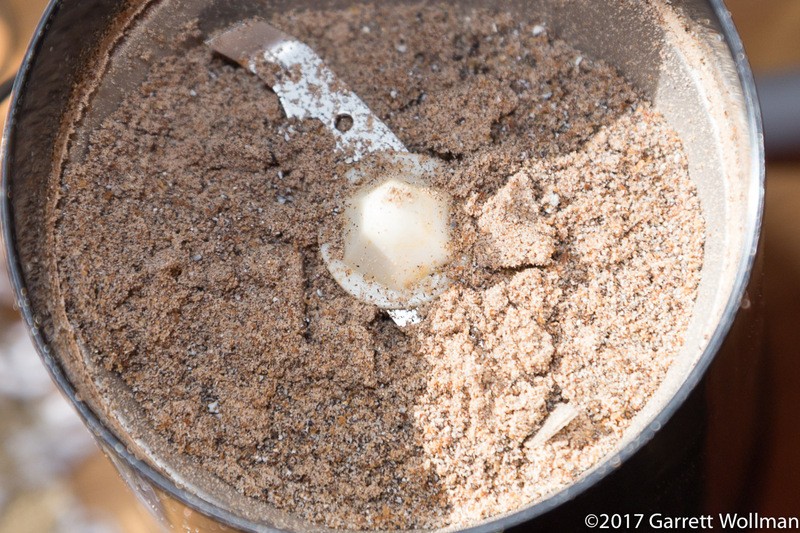 After grinding, the cardamom looks like the stuff that comes out of a jar, but hopefully it’s fresher and therefore more flavorful. 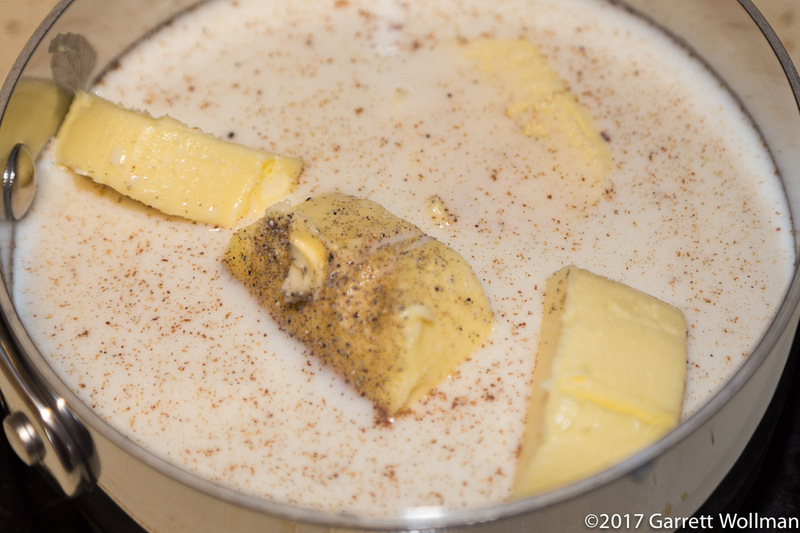 The recipe starts by melting the butter in a saucepan along with the milk and cardamom. 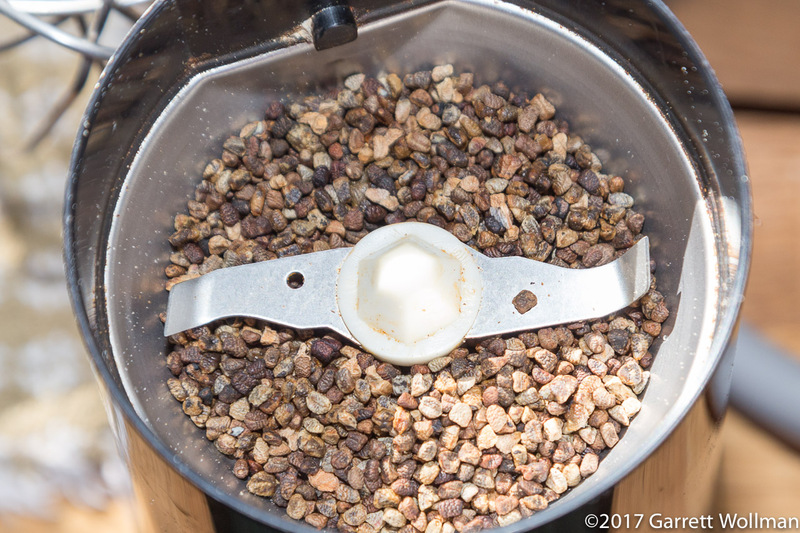 Once the butter is melted, it’s removed from the heat and allowed to steep until tepid. 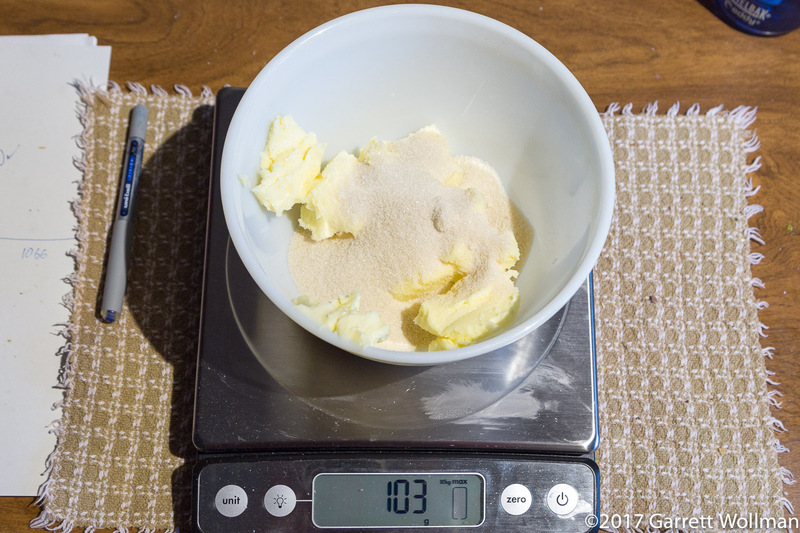 Once the milk mixture reaches a safe temperature for it (about 100°F or 40°C), the yeast cakes are whisked into the milk until the starch binder completely dissolves. 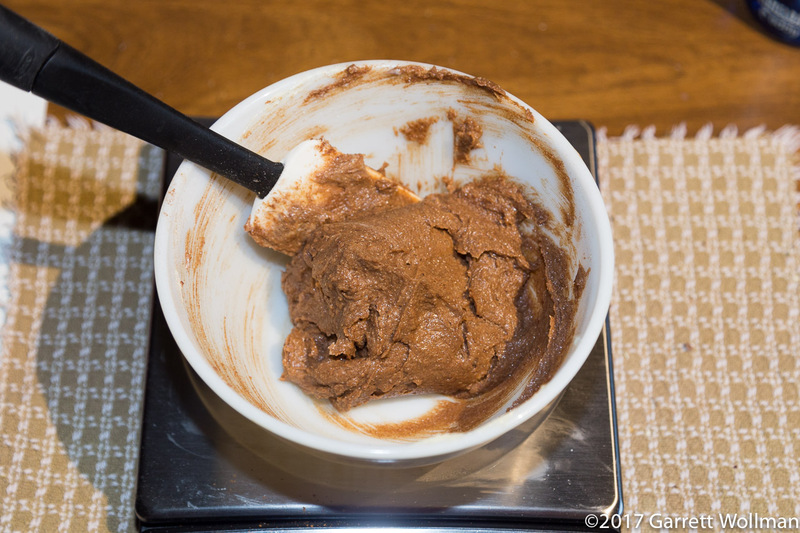 It is then combined in the stand mixer bowl with the egg and all the remaining dry ingredients to make a dough. 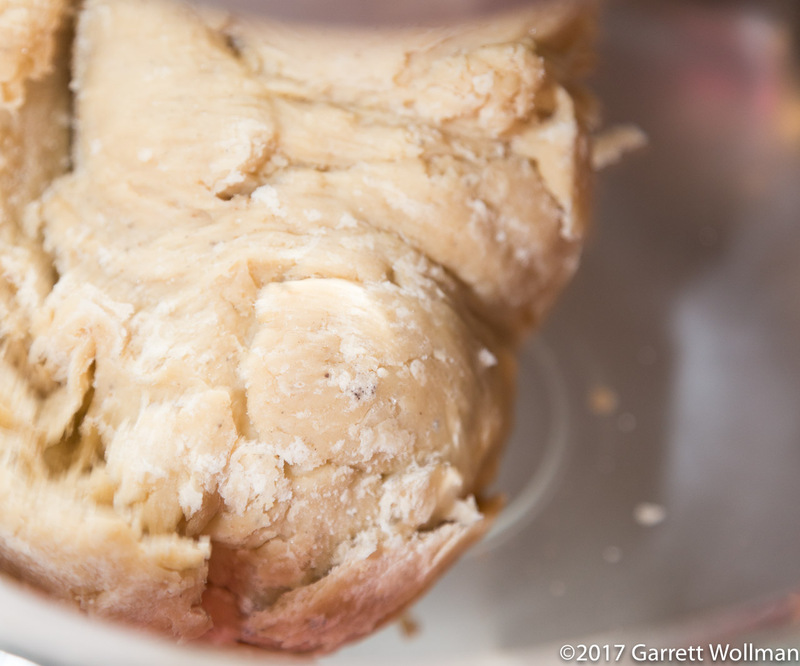 At this point, the dough ball has come together (there are no bits of flour clinging to the mixer’s work bowl) but it still needs to be kneaded. 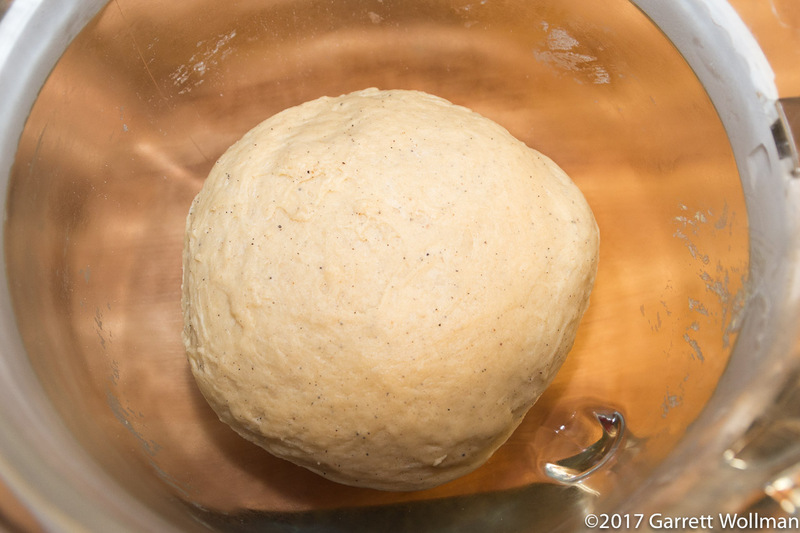 After kneading for several minutes with the dough hook, the pulla dough has just about come together into a smooth ball. You can see some specks of the cardamom in this picture. 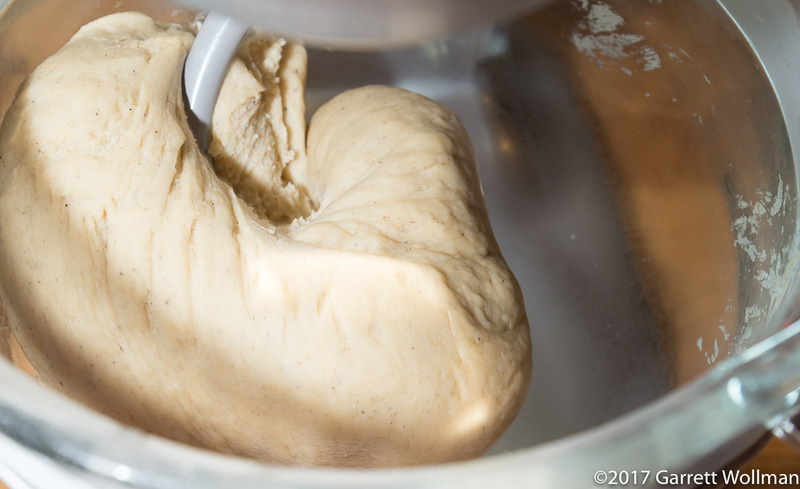 With the kneading done, all that remains before the dough is ready is the primary fermentation. Nilsson says this should take 20 to 40 minutes depending on the ambient temperature. I didn’t write down how long it took to get to this stage, but I probably left the dough to rise a bit too much, as it has more than doubled in volume. 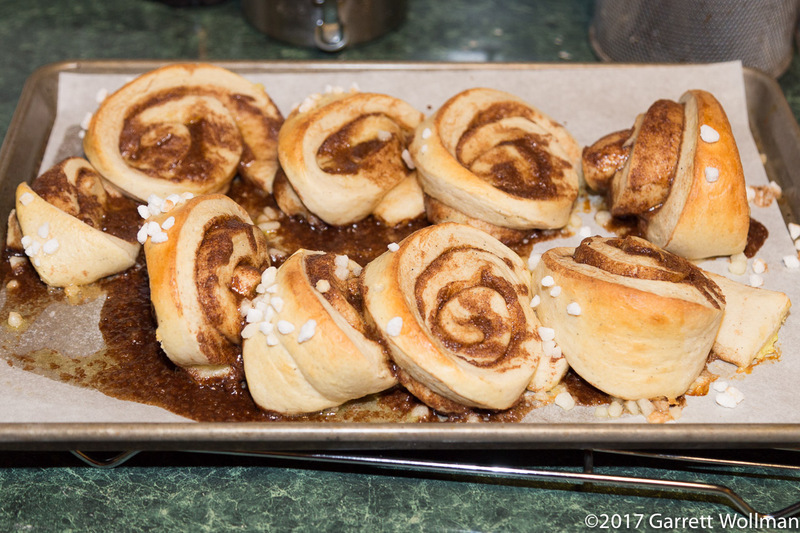 At this point I’m still following Nilsson, but now I’ve moved to the recipe he titles “Cinnamon Buns” (on the same page as the dough recipe). 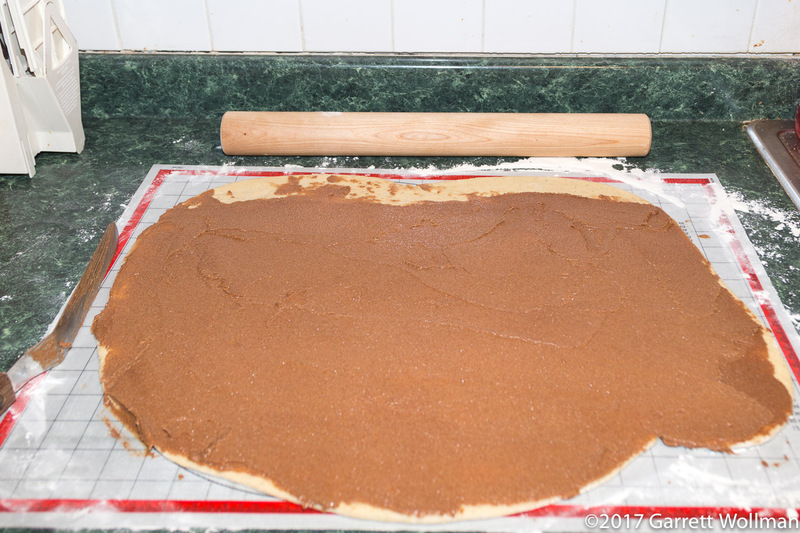 He says to roll the dough out into a 60×40 cm rectangle, nearly exactly the dimensions of my mat. I did my best, but the dough really didn’t want to cooperate — and my rolling pin is not really wide enough to do it justice. If I had to do it all over again, I’d be strongly inclined to cut the dough ball in half and then roll each half out to 40×30 cm. Actually, it’s cassia, not true cinnamon. 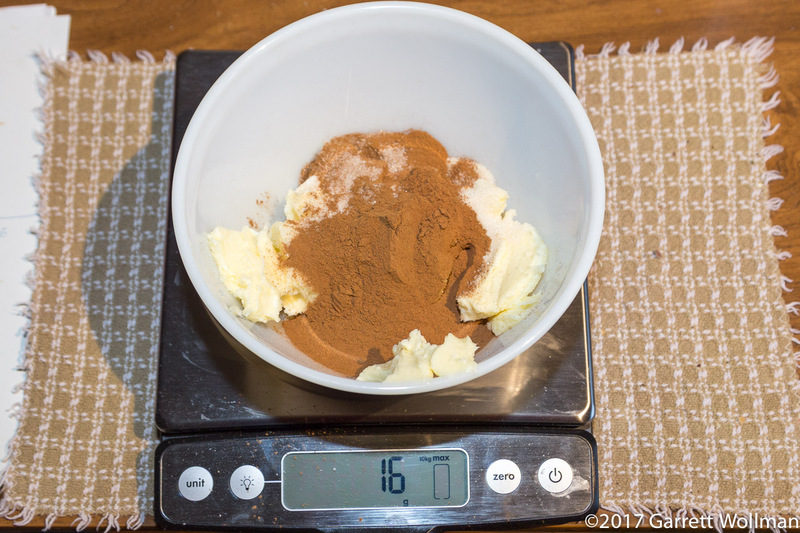 The recipe calls for two tablespoons, so for future reference, that’s 16 grams. 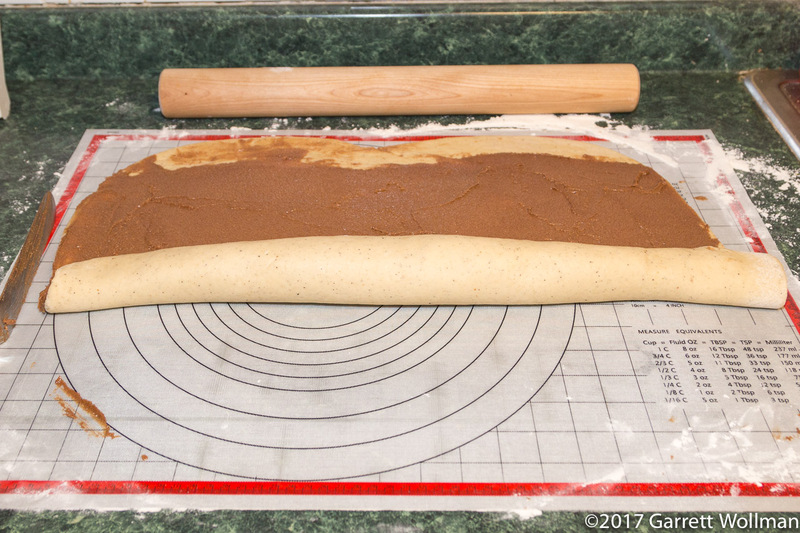 I beat the filling together with a spatula before spreading it on the rolled-out dough. Just to reinforce: every single recipe I managed to find says to spread the butter alone on the dough, then sprinkle/sift the sugar and cinnamon separately onto the surface. I’m not sure how much of a difference it made, if any, but when everyone else says “do it this way”, well, do as they say and not as I did. 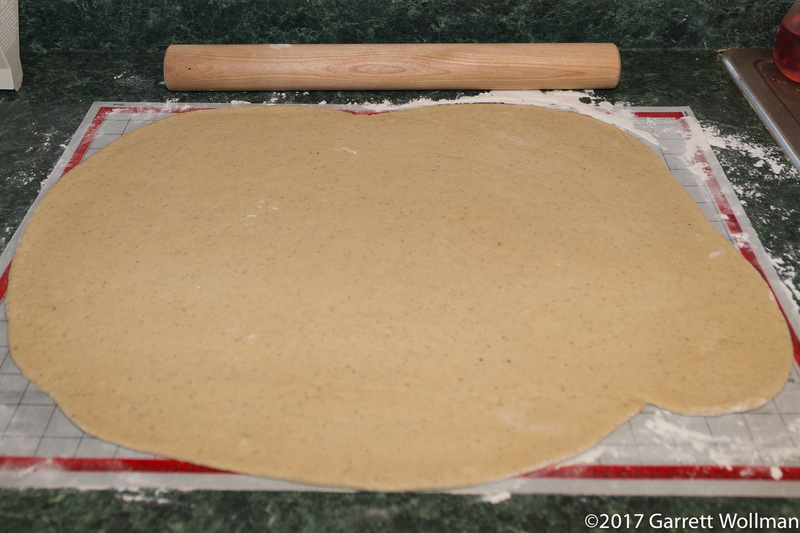 It wasn’t too hard to spread the filling onto the dough, although the previous procedure took long enough (should have done it while the dough was proofing) that the dough rose a bit and also pulled back from where it had been rolled out to. It’s important to leave the last 2 cm or so of the dough plain, so that the seam will stick together. 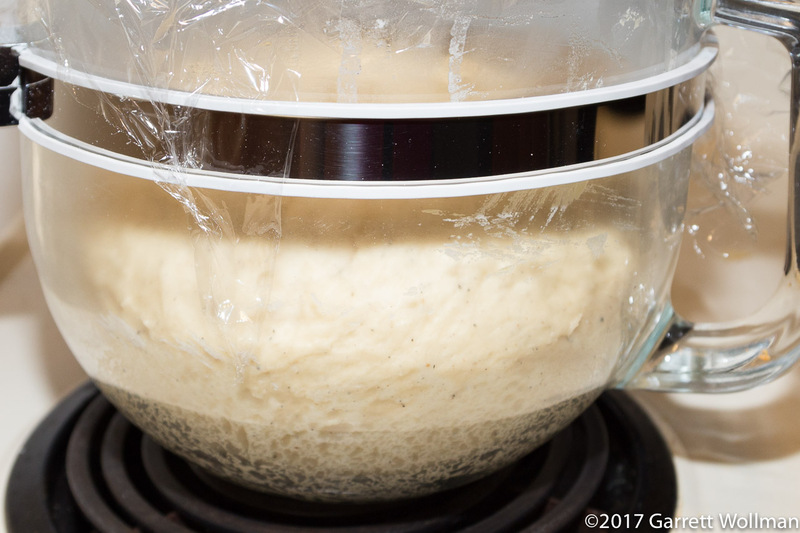 I actually went one step further and brushed it with a little water, because the dough had been sitting out open for a while. Notice how much thicker it is in the middle? Working with smaller portions of the dough probably would have prevented that. 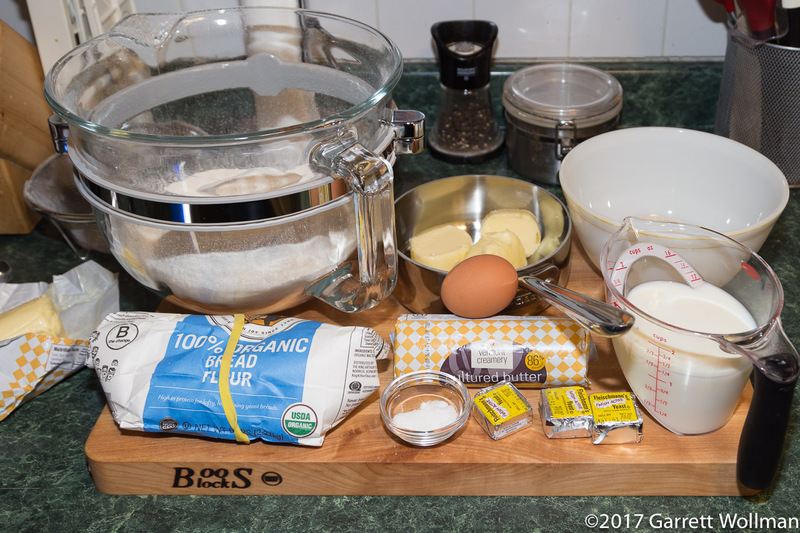 Here’s where I switched to a different recipe, specifically this one from Sini at My Blue and White Kitchen for forming the rolls. On reviewing her recipe, I see that she also provides masses for the important ingredients, and I probably should have just followed her recipe all the way through. Her recipe uses more flour, with other ingredients increased proportionally, and makes 30 rolls whereas Nilsson’s recipe is supposed to make 20 rolls. But I wanted to get the shape that she demonstrates, because it just seems right. (Nilsson has you cut them in cylinders, and bake in “paper cases”, which are not something I know.) So in any event, these turned out to be much too large, and I only got 13 (plus some misshapen ends). 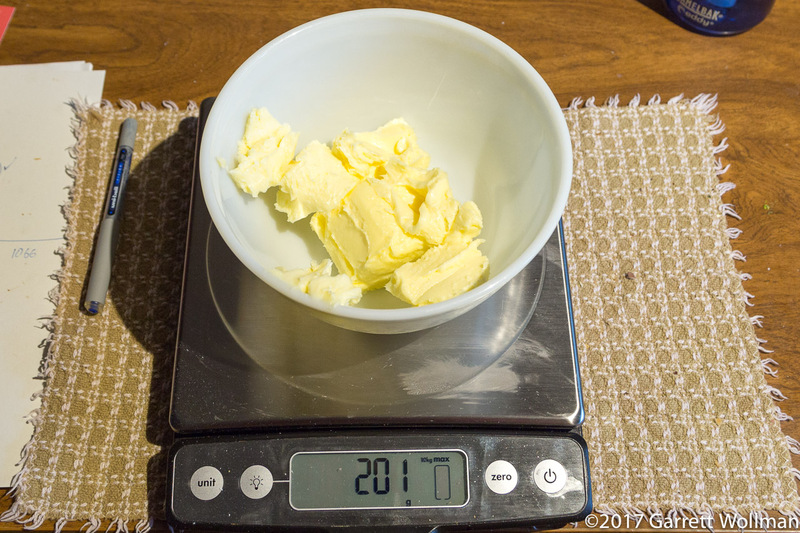 For either recipe, I have to believe that it would be an improvement to refrigerate the dough log for long enough to let the butter set up a bit, so it doesn’t squish out like it did for me under even the slightest cutting pressure. After forming, I switched back to Nilsson’s recipe for the bench proof and finishing. 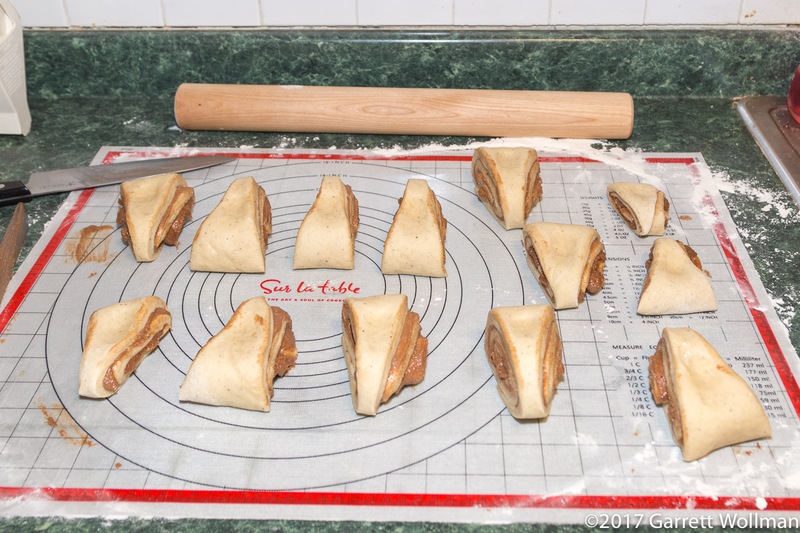 These rolls were too big to all fit on one half-sheet pan, so I had to set them on two separate pans. 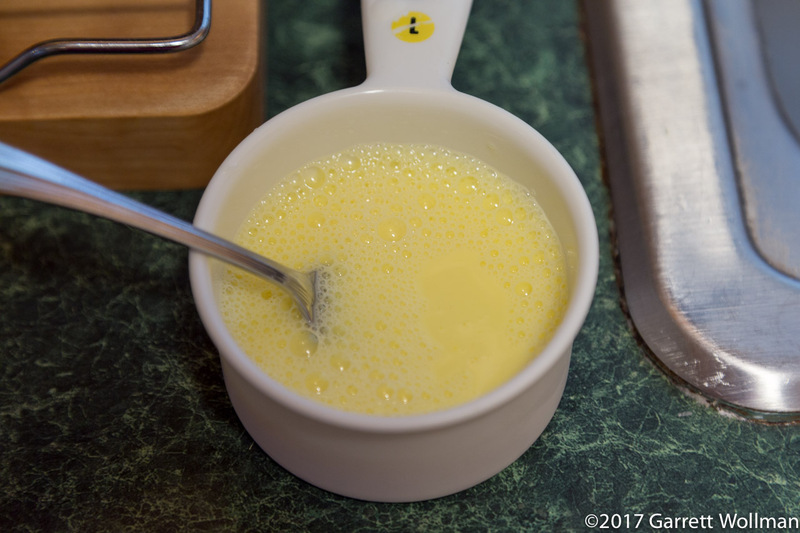 Nilsson calls for a somewhat unusual version of egg wash, made with 50 ml of milk rather than the usual tablespoon of water. Following both Nilsson’s recipe and Sini’s advice, I sprinkled pearl sugar on top of the rolls before baking in a 400°F (200°C) oven for 10 minutes. I think there was too much dough; the centers were somewhat undercooked, and of course everything splayed out in weird directions and the filling leaked out all over the pan (good thing I used a sheet of parchment to line it). I used “Danish pearl sugar” and this doesn’t seem to have been the right thing: the lumps of sugar were quite large, impossible to really sprinkle, and did not really do what they are supposed to do in the oven (soften, mainly). I didn’t do the nutrition data on these, because they turned out so crazy different from how they were supposed to do. 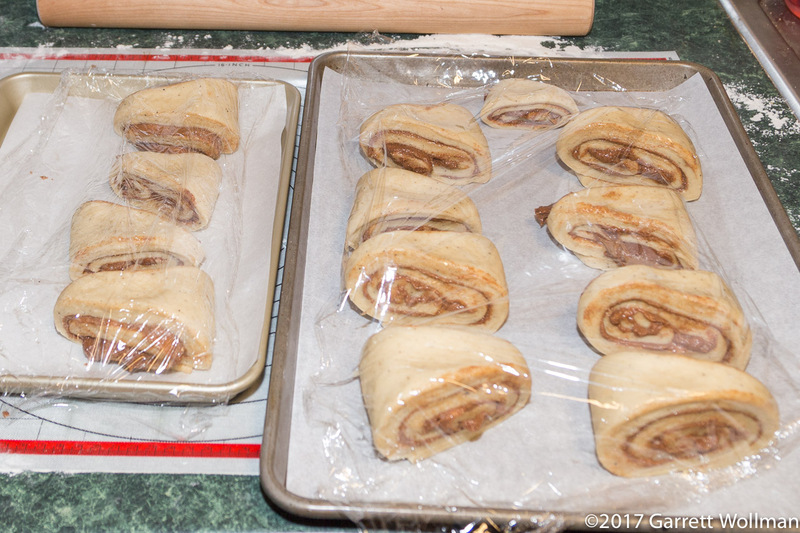 I think I may use Nilsson’s recipe again to make other pulla treats, but after I get back from Worldcon this summer I’ll try following Sini’s recipe from My Blue and White Kitchen all the way through this time, and hope to get better results. Gallery | This entry was posted in Food and tagged baking, cassia, cinnamon rolls, Finland, korvapuusti, pulla. Bookmark the permalink. Finnish cookbooks use the nominative case; whether singular or plural depends on what the recipe is for. Since here you are making several small things (instead of e.g. a single pie), “Korvapuustit” would be correct. I wish you luck in your further pulla adventures!